$16.66 /SF (Add $1 per SF for less than full pallets) Contact us for pricing and quantity discounts. Local pickup and direct shipping anywhere in the USA. Caledonia Granite is an elegant stone with large crystals and flecks. 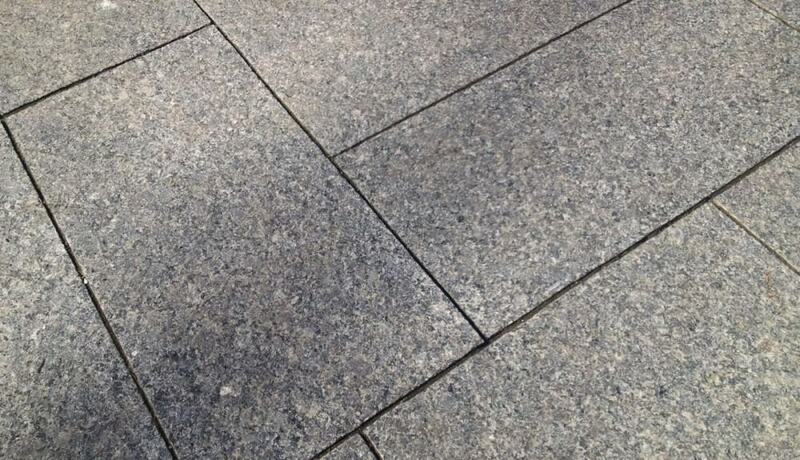 It is a darker gray/brown granite with slight pink and black specs. It is available as a 1.25 inch thick paver and as a 2 inch thick tread. Caledonia Granite is perfect for use around pools, on patios, walkways, and outdoor living spaces.